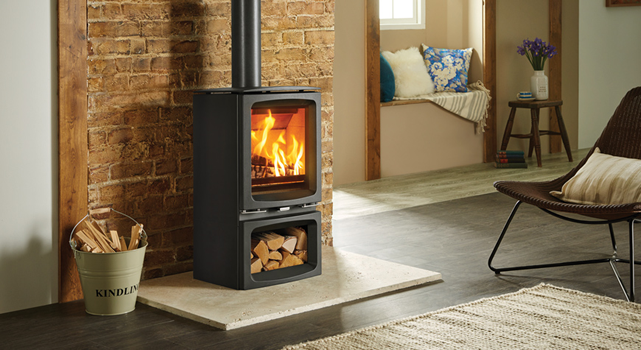 Featuring a large window that provides an uninterrupted view of the impressive flame picture, the Vogue Midi is one of the latest contemporary wood burning stoves to join the Stovax range. 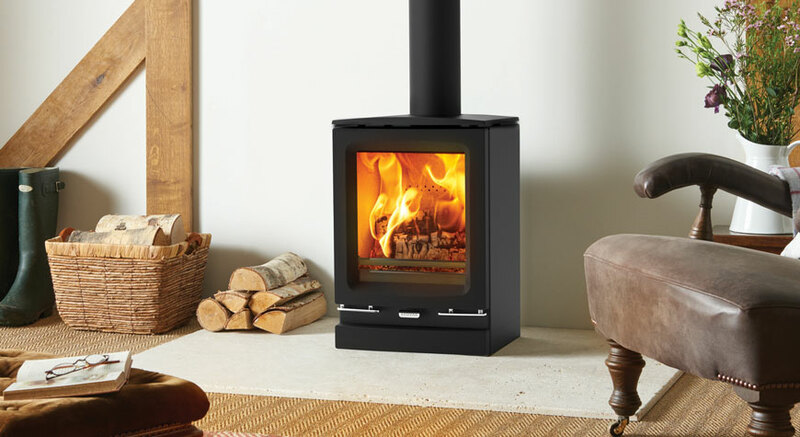 The stove’s advanced Cleanburn triple air injection system ensures that the flames fill the firebox whilst keeping the viewing glass clear to enjoy a fuller flame picture. 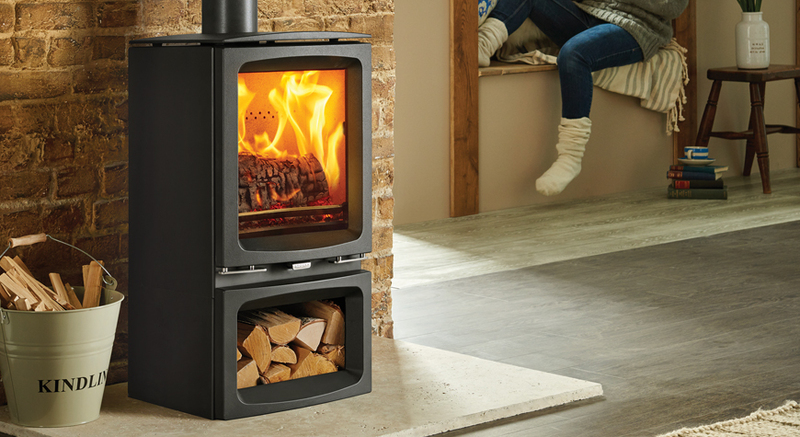 In addition, the highly efficient combustion process produces a nominal 5kW heat output – providing ample warmth whilst realising the fuel’s full potential. 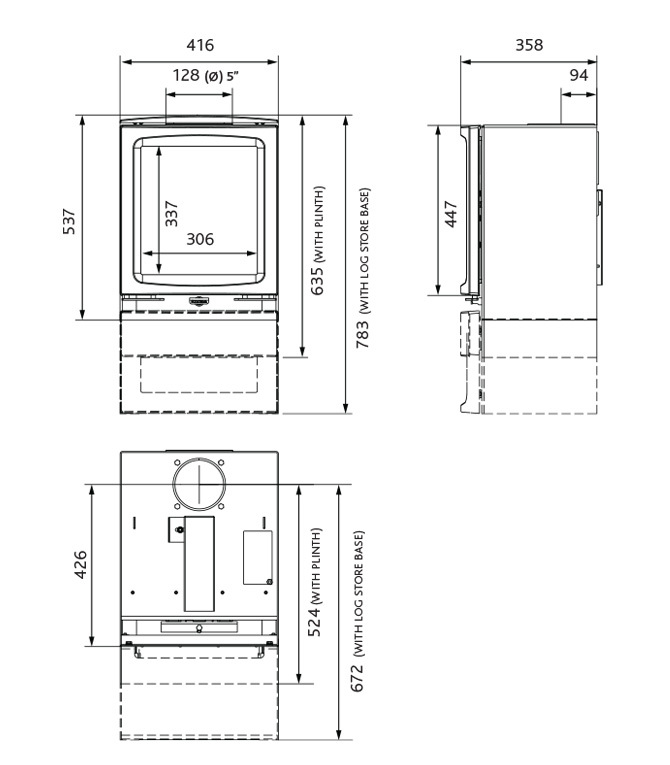 The Vogue Midi’s customisable design presents a variety of installation options. 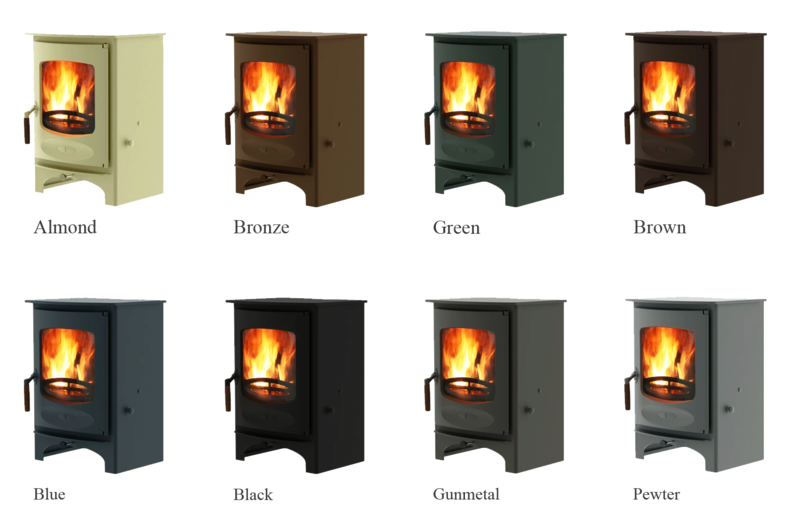 Homeowners can opt for either hearth mounted, plinth or Midline installations in order to create the desired look. Both the plinth and Midline log store bases are styled with matching subtle curves that perfectly complement the cast iron door and integral top plate.